What is your conservation promise? With nicer weather around the corner a good way to help conserve energy would be to walk to a nearby park with friends and family to explore, or carpool if the park is too far away! That way you not only save on gas, but you can also enjoy the outdoors with your friends and family! What do you remember learning from science camp? Do you remember what your conservation promise was? Have you been following your promise? We all hope so! Lizards and Pythons and Birds, Oh my! Spring is in the Air at Pathfinder. 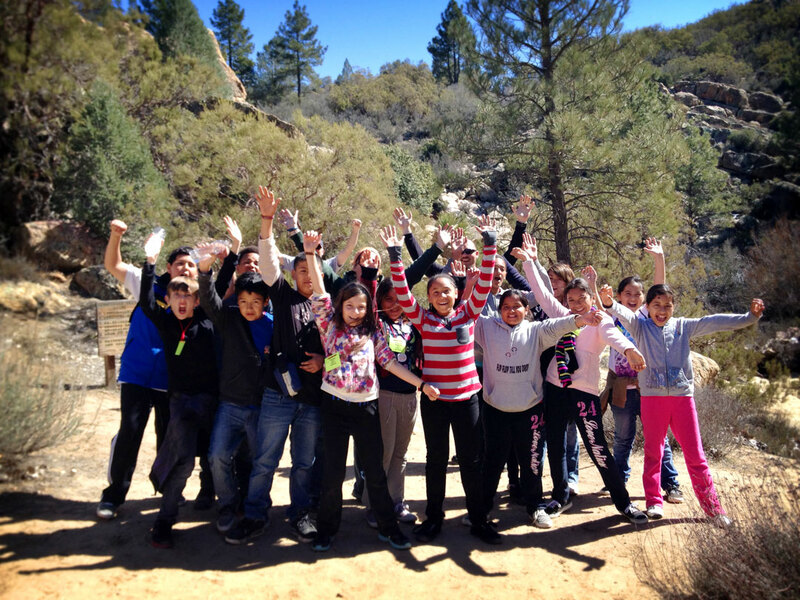 We’ve been having an incredible time at Pathfinder Ranch! With our 7 inches of snow, some students created some snow herps (like snowmen but in the shapes of turtles, lizards, and other reptiles/amphibians) before meeting our very own reptiles in the Nature Center! 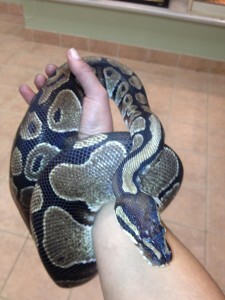 Here is one of our ball python friends, Gwar, and Dandelion. Some snakes have special organs called heat pits along their lips to sense body heat. Gwar uses his heat pits to hunt his warm-blooded (endothermic) prey, which are usually rats. Birds Galore! We’ve been hearing some acorn woodpeckers pecking away at our tall jeffrey pine trees (they are the ones that smell like butterscotch or chocolate!). One of our new naturalists, Hummingbird, snapped a great photo of one in the forest. Spring is in the air, two male western bluebirds have been fighting over a female by the climbing wall lately. They are beautiful blue-colored birds that hop from the ground to low perches. 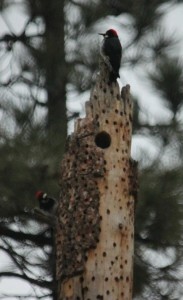 We will have to start looking out for nests! Not only is spring in the air, but summer is looming on the horizon. Do you have summer plans? Check out our Summer Camp! There are still openings from July 22 to August 17, 2013. Summer Camp is only $325 per student for the whole week of hiking, canoeing, yummy food, sleeping in cabins, and having a blast with friends, new and old!